A few clouds. Low 47F. Winds SW at 10 to 20 mph.. Since 1938, KLJ has provided multi-disciplinary engineering-based solutions for national, large-scale operations, with the local expertise to drive projects forward and deliver successful results. Our strong regional connections, in-depth local knowledge, responsive personal service and industry experience create strategic advantages. As an employee-owned firm with a focus on innovation and hard work, we help you succeed by developing a lasting infrastructure that responds to the social, civic and economic needs of our communities. 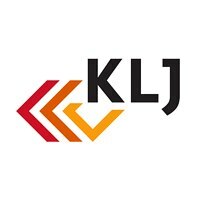 For every project, KLJ assigns a network of professionals uniquely suited for the job at hand. Our diverse teams combine innovation and expertise through an integrated exchange to develop the right collective solution for your organization. And together, we deliver results you can rely on. Over the past several years, KLJ has more than doubled in size in response to new opportunities in the upper Midwest and beyond and over the last 10 years, KLJ has strategically opened local offices in North Dakota, South Dakota, Montana, Minnesota, Wyoming and Florida. We are constantly evolving and adapting to meet new opportunities. As a civic leader, KLJ strongly supports the communities we serve. The company is committed to helping those in need through sponsorships, participation in charity events, corporate matching for employee charitable contributions and strong support of employee volunteerism.